Begin your journey to prizes with a game filled with fruits with this new release by Amatic - Bells On Fire.This slot takes you through a fruity world where you have to manoeuvre through the symbols in the slot so as to win big. It is a no-nonsense game where you have to spin the reels with minimal distractions so as to seal your fate. Bells On Fire is a 5-reel, 3-row and 40 payline slot with wilds and scatter symbols for your enjoyment.So get ready to discover the treasures hidden in this slot and walk away with a huge reward. While this slot will be fun to play, there are no gimmicks like some of the slots which you will find online. This slot is for players who like serious playthrough retro gaming. 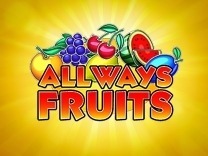 The fruits are the common fruit symbols which you would find in most classic slots but this should not worry you because your aim is to squeeze the last juice out of the fruits as you spin the reels for big fruity payouts.Players can access this slot from any device they wish because it is supported by desktop and mobile devices. This is because the visuals and graphics are rendered perfectly to ensure compatibility.Because this is a high variance slot, it is aimed at high prize hunting players and high rollers. This is because you have to be patient to receive a payout. You can definitely agree that the bells on this slot are on fire. Amatic is known to deliver a wonderful gaming experience to players with their slots and games. This game is no exception. you will find different characters in this slot such as the bar, oranges, watermelons, cherries, grapes, lemons and the lucky 7. These are the high and low paying symbols in the slot. The highest amount which is paid by the slot is 10000 credits for matching 5 of the lucky 7 symbols while the lowest amount which is paid is 80 credits for matching 3 of the lemon symbols.Before you can begin playing this slot, you have to understand the gameplay. You have to set a wager. The lowest bet which a player can set is 1 and the highest is 100000 credits. This can be done by clicking the bet button at the bottom of the slot display. There is also an autoplay function which allows players to play the game without the hassle of clicking the start button. In Bells on Fire, you will find 40 paylines which will give you multiple chances to make winning combinations with each spin. You have to match at least 3 symbols on an active payline to receive a payout.Watch out for the scatter symbol which is represented by the bell on fire as this is the best symbol on this slot. Matching 5 of these symbols will award you 100,000 credits. 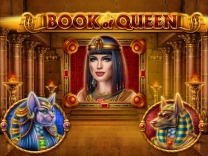 Because this is a classic slot, do not expect too much razzmatazz when playing this slot. it is downright simple and fun to play. 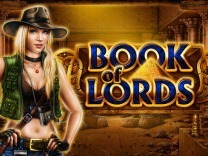 You will discover that there are no bonus rounds which are incorporated into this slot. However, there are two bonus features which will make it exciting to play this slot.There is a wild symbol which substitutes all other symbols in the slot. This feature is added to the slot to ensure that players are able to make winning combinations with ease. The wild symbol lands on the reels often making this slot all slots and no rot.There is also a scatter symbol which awards players wonderful prizes through the scatter pays. To receive this payout, you have to match at least 5 of the symbols to receive 100,000 credit prize. matching 3 or 4 will award 800 and 8000 credits respectively. Other than this you have to be satisfied playing the base game.